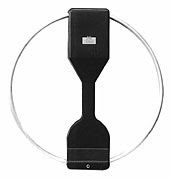 Paul PC4T asked me for some info about the MFJ-1788x magnetic loop antenna and I have decided to share my opinions so far. As some of you might know I live in a row house with no possibility for outside antennas. After reading some reviews I started to check prizes from different suppliers and found that I could save some money by importing the antenna directly from MFJ Enterprises in USA. I do most of my operations away from home but I have had QSOs with MW, I, GM, LY, S5, OH, 9A, HG, LA and EA with the mag-loop and 5w SSB so far. All QSOs were on 20m except the EA station whom I worked on 17m. My main problem is the very high local QRM that I experience at home, most of the time it reaches S7 - S9! The loop is located 3 - 4m above the ground in a spare upstairs bedroom I use as my shack. The antenna is mounted in a vertical configuration, currently without a rotator. As this is my only HF antenna at home I haven't had any possibilities to compare it to others but the signal reports I receive doesn't seem to bad for a QRP station with an indoor antenna. Julian G4ILO has written an excellent review of the antenna that you can find here. Thanks for your comments Paul! I just disconnected the loop from the feed line and the QRN dropped from S9 down to S2, so the mag loop is definitely picking up the noise. Does any of you have any experience with this? When I first got it I was thinking about finding a way to mount it horizontally but at the moment it is very convenient to leave it vertical on a suitable tripod. Good luck with finding a suitable antenna! Hello Paul. I had two problems with my loop. One of the micro switches did not work but I managed to solve this. Some of the mounting screws were not threaded properly and I had to replace them. Wondering how your MFJ magnetic loop is working. I am living in a first-floor apartment and I keep coming back to the MFJ magnetic loop as my best option because I have no space or permission to put up any antennas and there are no trees to string wires in. Are you using the antenna inside your house in the shack? That may be what I'd have to do in the winter months, although I do have a small patio I could work with, but it's still ground-level and quite close to the building. I am hesitant to purchase the antenna because of the price but also I don't want to be disappointed with poor performance. Thanks for your comment! I haven't really used the mag loop much lately due to the very high amount of QRM at my QTH. I have purchased a noise canceler from MFJ to try to cancel out as much QRM as possible together with a pa0rdt-Mini-Whip. I have not yet tested this setup. My experience is that my signal is getting out with the mag loop but I can't hear the other station. The antenna is mounted on a tripod inside my upstairs shack and I'm running 5w SSB. I will update my blog as soon as I've done some tests with the noise canceler. Installed MFJ1788 in 2000, horizontal at 18 feet on pole. Compared with a half-sized (52 feet long)G5RV at same height on 40m and 17m both the same but MFJ loop much less TV/Mains/computer noise etc. Now at new QTH, very small garden so is Vertical hanging from wooden pole - bottom of loop 3 feet from ground! Even better than previous. 40M stateside stations 55 to 59 0200hrs UTC. Yes, tuning is a pain. I like to jump about and trawl across all the bands. I just "stab" at the fast up/down buttons and peak for maximum "hiss" (AGC = Fast) then fine tune the slow up/down buttons. Before installation I had to adjust the internal "coupling loop" for best/lowest SWR on my preferred bands. Controller tunes most to less than 2:1 but some just under 3:1. Use Kenwood internal ATU to then match RIG to loop.